It’s almost that time of year! You know what I’m talking about. I know it’s early November but since Halloween is gone it’s officially OK to decorate for Christmas, right?! 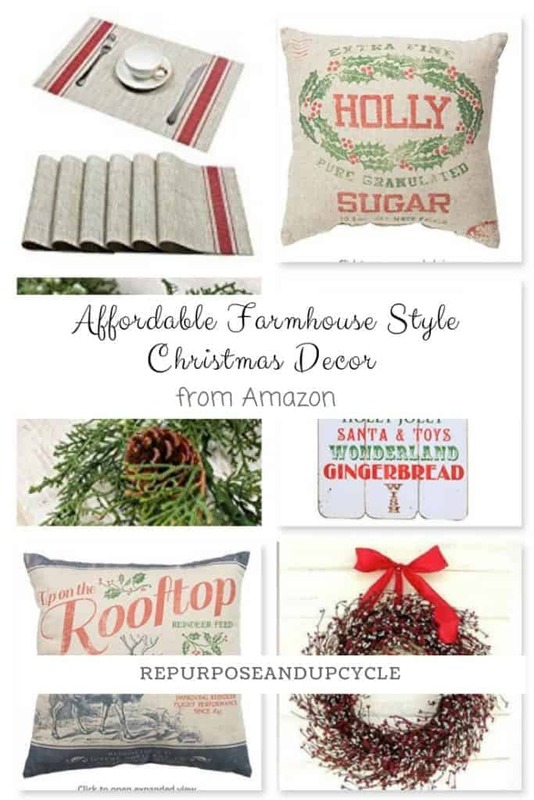 Speaking of decorating, I wanted to round up some affordable farmhouse style Christmas decor that I found on Amazon. I don’t know about you, but the holiday season seems more festive when your home is decorated for Christmas. It’s even better when you don’t have to spend a lot of time or money to do it! I wanted to start by sharing a few holiday pillows. I’ve posted about reasonable pillows from Amazon before HERE , and I wanted to share a few more below. One of my biggest frustrations with holiday decor is how and where to store it! My suggestion with pillows is to buy pillow covers instead of entire pillows. Not only are pillow covers less expensive, but they are so much easier to store when you’re done with the holiday. If you’re someone who prefers actual pillows, don’t worry, I’ve shared a few of those too. For those of you who have very neutral decor and like to keep your Christmas decor the same, think about pillows (or pillow covers) like the neutral ones above. Adding festive pillows won’t break the bank and really warms up a space. My next item that helps add affordable farmhouse style Christmas decor is signs. If you’ve been around here long enough, you know I love any type of sign. The sign above would look cute on a front porch! It wouldn’t be Christmas without a Christmas wreath now would it? I’ve shared my favorite wreaths from Amazon below. Garland can make or break a space as far as creating a cozy Christmas space. I love to add garland to fireplace mantels, shelves, and even chandeliers! Farmhouse Style Pillows, wreaths, garland and signs are four easy and affordable ways to add Christmas decor without breaking the bank. What do you think? I’ve tried to round up a handful of affordable items that will create a warm and inviting Farmhouse Style Christmas atmosphere. I’m a full believer that it doesn’t take a lot of time or money to create a great farmhouse style space! Thanks for the tips and taking the time to research! If you find more farmhouse Christmas please post ! Cute ideas! Love all the signs. Visiting from Nifty Thrifty Sunday party. Wow – they all look fantastic! Thanks for all the great tips and for linking up at http://nanahood.com/wedding-shower-newlyweds I really enjoyed my visit to your blog! Loving those farmhouse pillows! They’re gorgeous. I will now be spending the rest of the day and my bank account on Amazon! 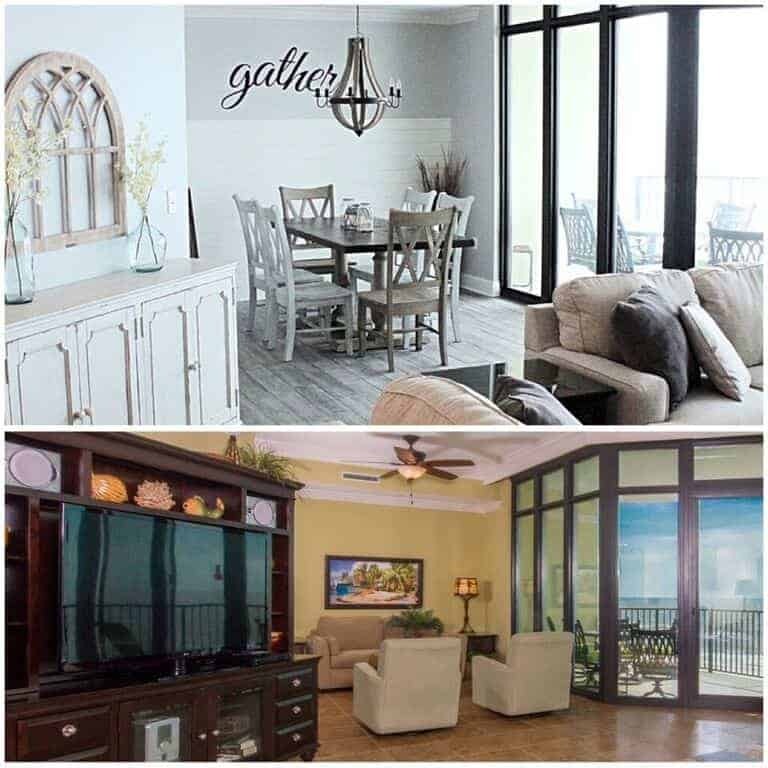 I am new to the south and have been wanting to transition my holiday decor slowly, but this is a one stop shop! Thank you! lol, your welcome! haha. And welcome to the South, I’m in Alabama. Even though most everything in my home is contemporary I think I can add a few farmhouse pieces. I love decorating with pillows each season but I’ve run out of storage space. Pillow covers come in handy and they’re quite affordable. Thanks for the ideas and for linking up with us at Celebrate Your Story. Thank you for sharing these suggestions at The Really Crafty Link Party this week. I especially love the pillows! Our front porch is so awkward to style, I love the idea of adding a festive sign to make it more interesting for the holidays. Thanks so much for sharing at the #happynowlinkup! Such pretty ideas! I love those white pillows with the white snowflakes. I can’t believe some of those pillow covers are so cheap! I know! I have a few myself. There are some lovely ideas here, I especially like the pillows/cushions and those place mats. I love Christmas and you have showcased some lovely items. Thanks for sharing with us at #BloggersPitStop. It is lovely to have you join us. Have a great week. Wow! All of these are great finds! Super cute! I love farmhouse style. We added shiplap to one of our bedroom walls last winter. I have some grain sack fabric in my closet and I’m thinking of making a long pillow to go on our bed with my red and white quilt. Thanks for sharing with SYC. Really cute selections, thanks for sharing! So glad you liked my post! Thanks for stopping by. Great ideas! Thanks for sharing at Sew It Cook It Craft It.